Emmsee Sportswear is a Sports Uniform manufacturer and a specialist in Uniforms and Clothing for all Team Sports. We supply customers Australia wide with socks. Emmsee Sportswear supplies socks for all Sports including Baseball, Softball, T-Ball, Football, Soccer, Netball, Basketball, Cheerleading, Ten Pin Bowling, Lacrosse, Hockey and more. 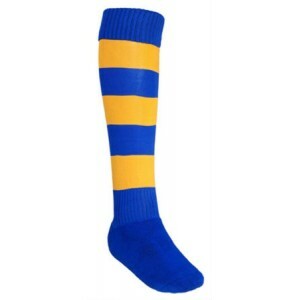 Sports SocksDelivery Australia wideCustom Socks made to order with School or Club logo. Socks avail..